Race fans in America are being invited to submit their most creative designs to Infiniti. 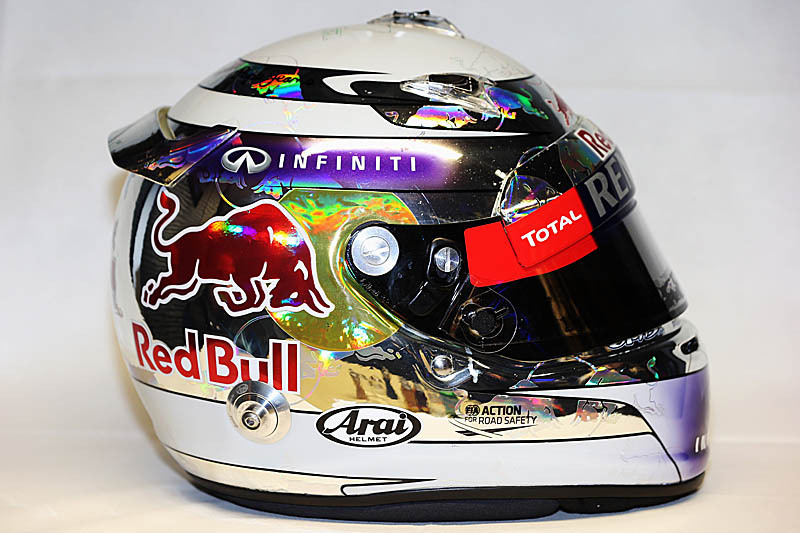 The winning entry will be personally chosen by Sebastian Vettel, who will wear the helmet for the Friday practice sessions and Saturday qualifying session at the Circuit of the Americas in Austin on November 15 and 16. The lucky winner and a friend will also enjoy a VIP weekend at the U.S. Grand Prix with Infiniti, including meeting Vettel himself. Participants will be able to submit their designs directly to the Infiniti competition website and can be done through the user-friendly design application on the homepage. For those who prefer to get creative by hand, they can download the helmet template and simply draw their design on paper. Those who have their own design applications are welcome to use them for their entry. Entries close at 7:59 a.m. ET on Sunday, September 29 and will be judged on Monday, September 30. "The helmets I wear are very important to me, as each one has a special meaning or a connection with the race in question," said Vettel. "Normally I work closely with my helmet designer to come up with a new design for every other race, and this is the first time I've given the fans the chance to do it for me. I can't wait to see what they come up with!"